We are So excited to be partnering with Kershaw's Challenge to build a brand new Arise Christian School! Over the next few years, Kershaw's Challenge will fully fund the building of the ONE MILLION dollar school. So far, we have already completed phase one and SIX brand new classrooms and a new toilet block are currently being used by some very happy students! THE BUILDING IS ONLY PART OF IT. We would like to offer a much better education for the children attending ACS, which is going to require more funding. We are asking current child sponsors whose children attend ACS to increase their sponsorship by $15 monthly. This would come out to $50 a month. All of the additional funding will go to teachers, supplies, administration, extra staff for tutoring etc. Every additional penny given will go directly to ACS education. Please consider increasing your sponsorship today! CHECK OUT ALL THAT’S BEEN DONE SO FAR! 1. INCREASE YOUR SPONSORSHIP - If you are a current sponsor and wish to increase your sponsorship to $50 a month, please email Faith at faith@ariseafrica.org. Once the new donation comes in, we will cancel your current monthly (or annual) donation schedule. 2. SHOP FOR ACS - We would love help shopping for exact things the ACS school headmaster, Mr. Webster, has asked for. It is simple to shop our Amazon Wish List, where items are shipped directly to our USA office. These items will go in mission trippers' bags in March, April, and June. Help us support ACS! Make sure to tell us who you are on the gift receipt! These donations are tax deductible as well. 3. 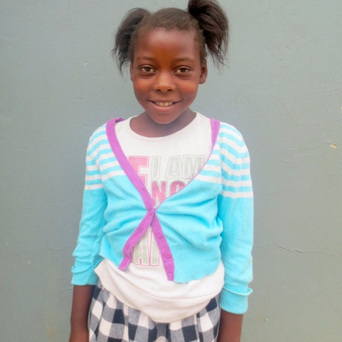 Sponsor a child at ACS - Join us in changing a child's life! The children listed below are ready to be sponsored at Arise Christian School. The cost is $50 a month, which covers their medical needs, one hot meal a day, discipleship, and school fees. Partner with us as to share the love of Christ to the most vulnerable children in Africa! 1. What about other children I sponsor in the program at $35 monthly, is their sponsorship increasing? No, currently only children who attend Arise Christian School are having their sponsorship increased. We hope and pray that if our efforts to improve education are successful, we can then start to work on other schools in our programs. 2. What are the class sizes at ACS? Our limit is 30 children per classroom at ACS.